Whether you want a private business jet from NYC to Paris or a turbo prop air charter for cargo going from Miami to The Bahamas your private air charter broker is front and center on every aspect of your flight. A professional air charter broker brings together years of experience knowledge and contacts to provide the private air charter traveler a full suite of services for convenience, piece of mind and saving time and money. 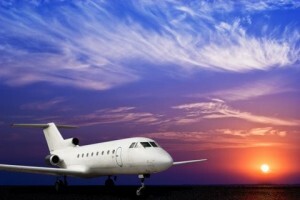 Given that the private air charter broker is in contact with a multitude of private jet charter operators, he or she brings together a vast array of air charter options and their literally hundreds of years of combined expertise and places them at the disposal of the private air charter traveler. With a strong trend away from full or fractional private jet ownership by corporate and high net worth individual private jet owners the private air charter market is growing rapidly. Considering that more private air charter brokers are expanding their suite of services to include private jet management, many of those who do own private jets are turning to the professional air charter operators and brokers to maintain and maximize returns on their investment. One of the most important criteria for selecting a private air charter broker to handle your private jet travel, is response time and ‘user-friendly’ level of service. With the most professional 24/7 private air charter broker one call will get your private jet flight arranged, including end to end ground services, local transportation and lodging, guides, translators, catering, private security, concierge services and cheerful accommodation of last minute changes. Ask your private air charter broker about safety.